Long ago, like literally a decade plus ago, I was quite the sun lover. I joined outdoor sports like hockey (I know, I can't imagine myself now lol) and participated in cheerleading. I enjoyed beach outings and also went out to tan with my friends. It was just so hip to have that tanned sunkissed look! However, when I moved over to China for a few years and got mistaken for being my mum's helper lol... I decided I did not quite suit that tanned sunkissed look after all. Plus, anyway, with the current K-wave trend hitting Singapore, being fair-skinned seems the path to go. 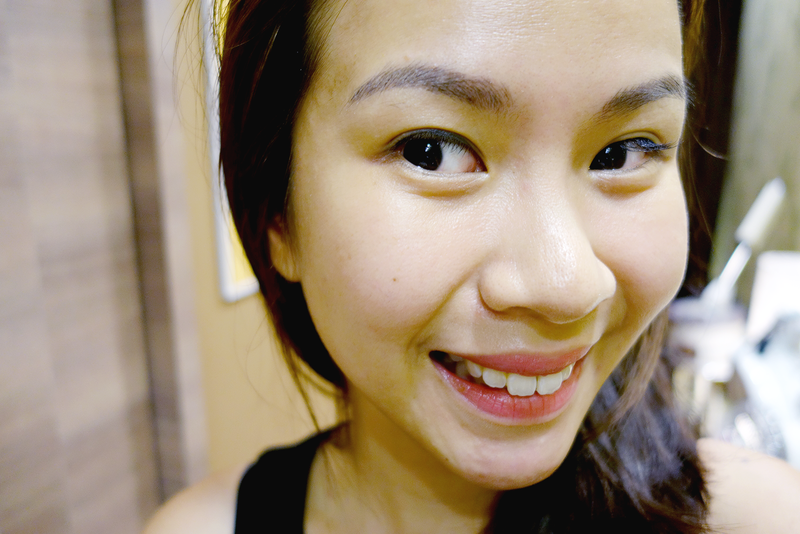 Thus, when I returned from Phuket for my anniversary trip this year, I was so so horrified to find out how tanned I'd gotten! It didn't help that I was to fly off to Hainan in the hottest month of the year just a few weeks after for my Best Friend's Wedding!!!! 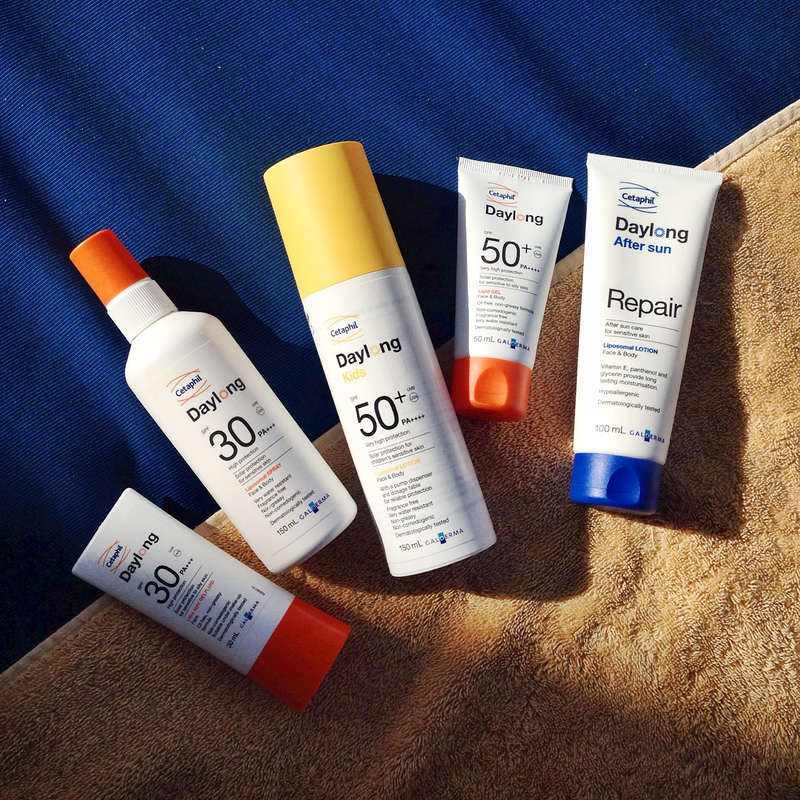 So I must say, honestly, I was just so grateful to have Daylong provide me with some wonderful summer essentials to keep me SPF protected ALL-DAY-LONG*. *Do note that reapplication every 3-4 hours would be strongly advised. Daylong understands that different skin types have different needs, and therefore they have created a range of high-quality products to suit diverse skin types. The Daylong products are developed and formulated by Galderma with unrivaled scientific and dermatological expertise. Thus, be it if your skin is normal, dry, sensitive, very sensitive or allergic, Daylong ensures you only have the ultimate in daily skin protection; with advanced filters' combination and innovative formulations, effective protection with nurturing ingredients promises long-lasting skin care. 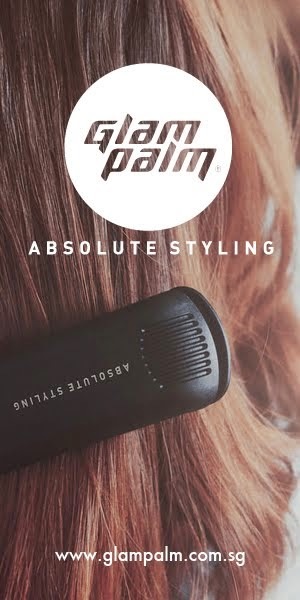 The products are easy to apply since they are uniquely light, unscented, fast-absorbing and non-sticky, which is what I know so many of us are looking for in sun protection. GOODBYE GREASY TEXTURES! On top of all that, Daylong is clinically proven to also prevent multi dimensional cell damage and help reduce effects of sun-induced skin aging. 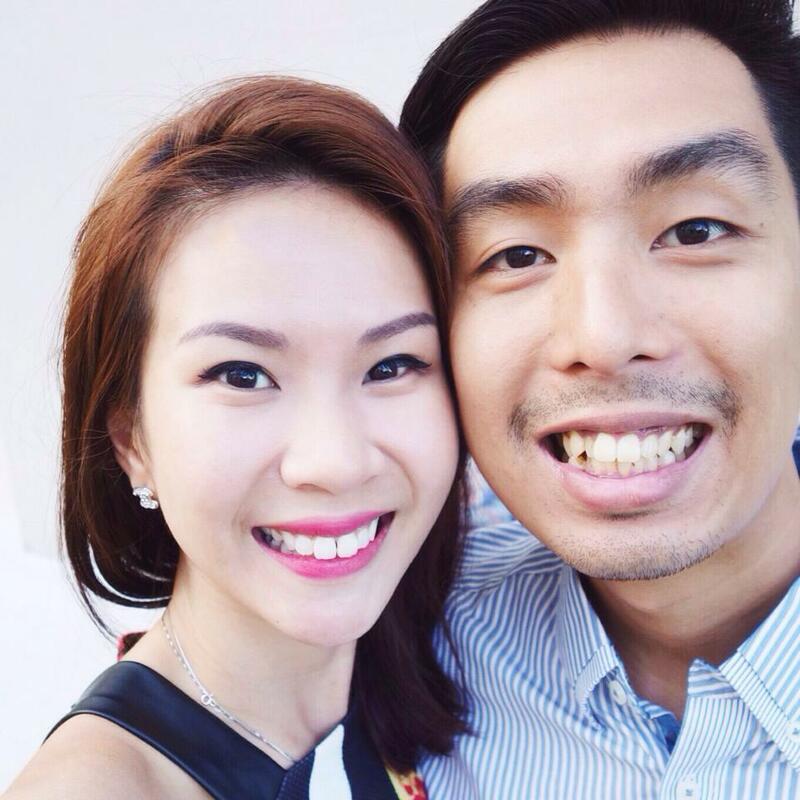 We've all been celebrating SG50, be it through amazing food promotions, shopping discounts, etc. right? But SG50 is so much more than that! It celebrates our country's 50 years of independence, which is a HUGE deal, considering that we're such a tiny island. And if there's one word to describe everything we've been through, that word would be STRENGTH. Thus, in line with National Day Parade (NDP) 2015's theme of "Majulah Singapore", this year's Mobile Column will honor just that: the strength of Singaporeans through their pioneering spirit, their resilience and their vigilance. More than ever in this time of trouble in the world with ever spreading violence, Singaporeans will be called on to show a continued commitment to the Defence and security of Singapore. 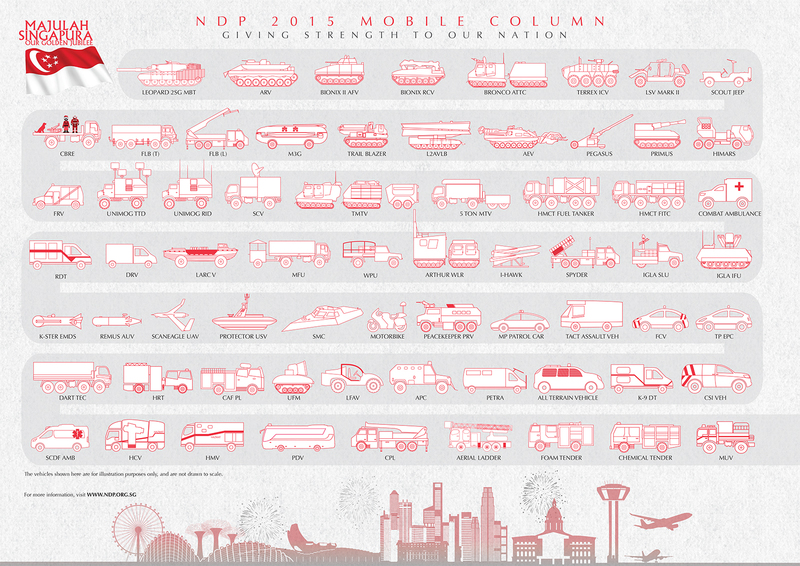 The last time the Mobile Column was featured was in NDP 2010, and it displayed the advanced technological capabilities of the Singapore Armed Forces (SAF), Singapore Police Force (SPF) and Singapore Civil Defence Force (SCDF). 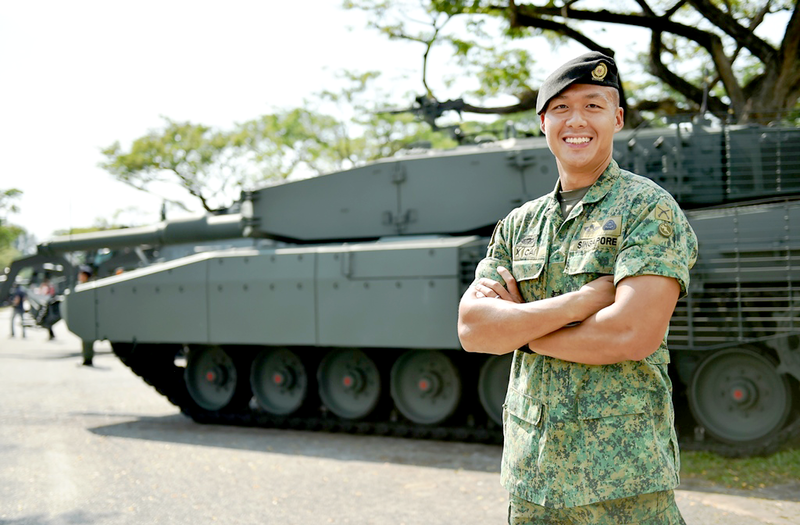 The Mobile Column will feature as "Chapter 3 - Strength" under the NDP 2015 Integrated Show with 177 assets from SAF, SPF, SCDF and approximately 900 personnel. The 2-km long convoy will take about 14 minutes and 30 seconds in the drive-past at the Padang. 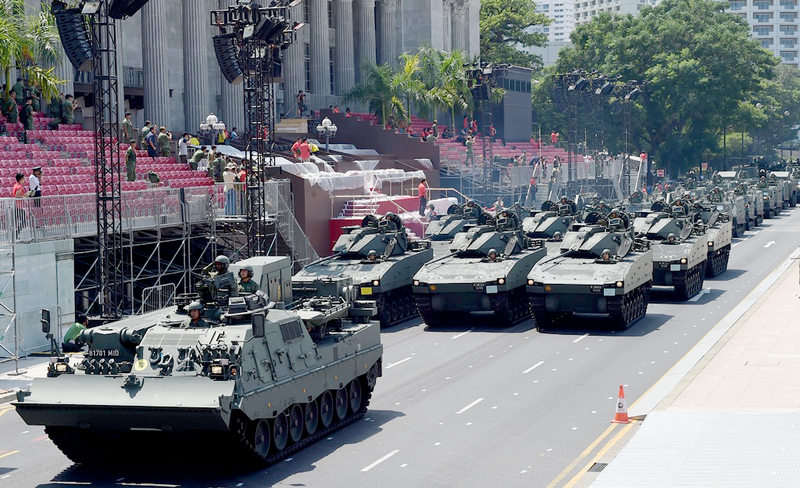 Two new vehicles this year, the Armored Engineer Vehicle and Protected Response Vehicle from the Singapore Army will be featured, alongside other crowd favorites such as the Leopard 2SG Main Battle Tank, Bionix II Infantry Fighting Vehicle, and Terrex Infantry Carrier Vehicle. Spectators will also get to see naval assets not featured in previous Mobile Columns, such as the 40-tonne Specialised Marine Craft. As mentioned, since the concept is featured around STRENGTH, the Mobile Column will be displayed in four distinct segments - "Giving Strength to Our Nation", "Strength in Action", "Strength for our Home" and "From Strength to Strength". Multimedia videos showcasing stories of the men and women who have operated these platforms in Singapore and on overseas missions will be featured too. In order to bring the Mobile Column that much closer to Singaporeans, a section of the Mobile Column will make its way around the Marina Bay area, beginning with The Float @ Marina Bay which is the second ticketed site for NDP 2015. It will then drive past the Marina Bay Sands Hotel and Convention Center and the Marina Bay Financial Center before joining Singaporeans on the Esplanade Bridge for the Pledge Moment at 8:15pm (20:15 hrs) on 9 August. So head over to the Marina Bay area on 9 August if you wish to get a glimpse of these vehicles! With the passing of Lee Kuan Yew this year, it's more imperative than ever for us to huddle our strength and show unity throughout. Let's all show support to NDP 2015 and SG50 all the way! A while back, I wrote 2 posts for Der Anthyllis here and here; and now I'm happier than ever to come back with a new post! I'm not sure if many of you are aware, but I've been a close friend of Amy, the lovely woman who runs Der Anthyllis, for 5 years now. That, in no way, impairs my ability to be objective about her services, so don't you worry. When I say that her services are meticulous and fueled by passion, I mean exactly that. 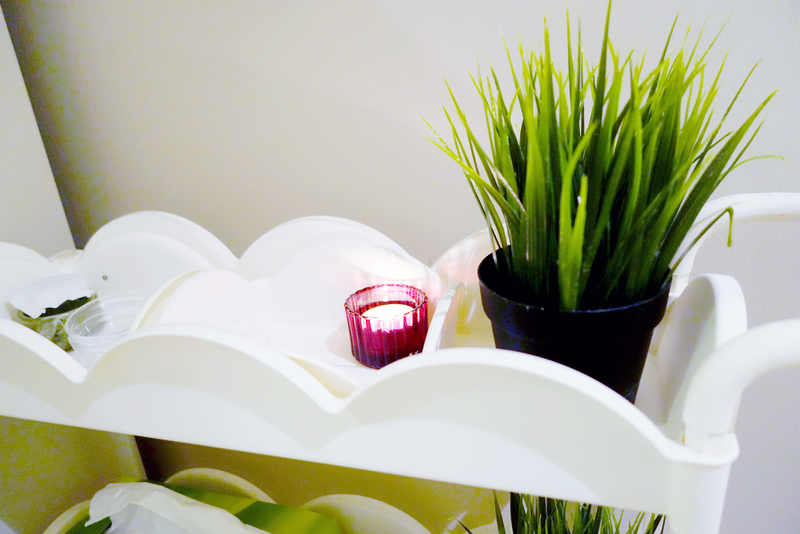 I notice that my two posts previously focused on a customized facial for my skin, this post focuses on something more unique - an Aromatherapy Facial! To begin, Amy asked me how my days have been, and I thought that was just out of friendship or for the sake of catching up, but there's a much deeper meaning. She actually asks this to get a better understanding of your internal state before she assesses your external state. After all, a lot to do with our skin starts from the within. I told her of my troubles at work, and how stressed I've been lately and she said she could tell straightaway but didn't want to assume too lightly. You see, when you're stressed, your skin becomes dehydrated which is very obvious to most eyes. However, beyond that, Amy could see AND FEEL other tell tale signs from my skin - which I thought truly came with the skills of a professional. 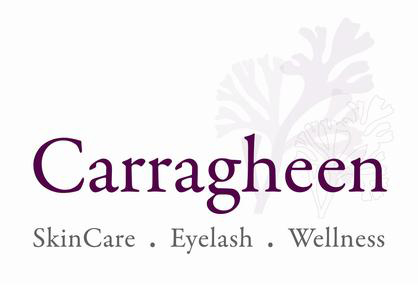 To be very honest.. for awhile I was very scared of going to Amy because she could ALWAYS ALWAYS tell when I'd been tinkering with products lightly and always getting my skin in trouble haha!! But really, this is one formidable skill. I bet many of her other clients will attest to this as well actually. 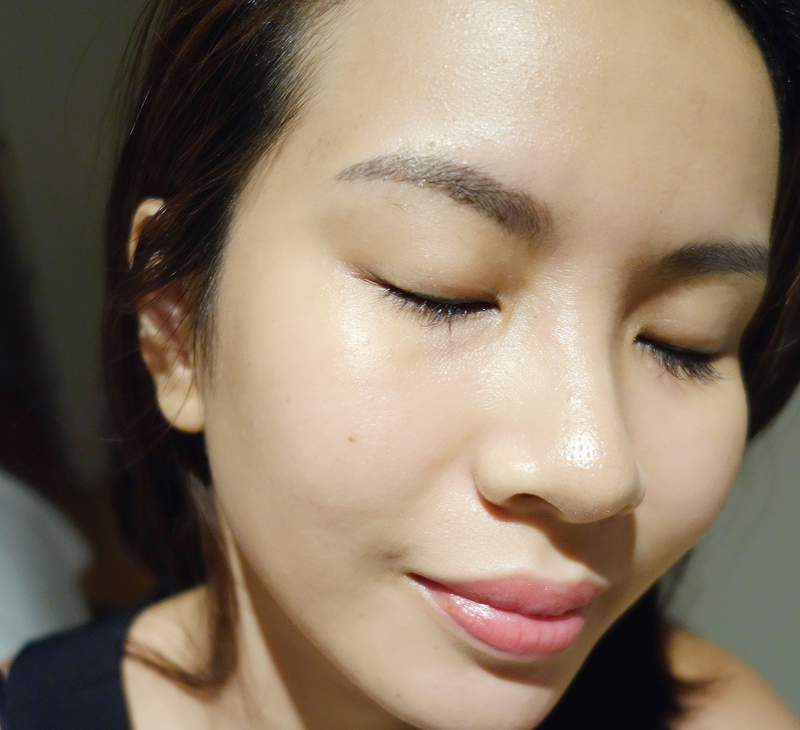 hello well-rested glowing post-facial skin! To protect Amy's business' privacy, I will not be showing you the facial done step by step. What it did involve though was basic cleansing, a mask, etc.. but the WINNING part was the ahhhhhmazing aromatherapy massage that came with it. She arranged for oils to suit my skin (and mental) condition and let me have a whiff of them as she applied them to my face as well. The purity and scent of such oils have a HUGE impact on the skin and most of us aren't even aware of it. Whilst many places will tell you they use oils too, dear Amy actually TRAVELS by herself to procure these oils and to ensure their quality. I swear that there are almost no facial therapists this dedicated nowadays. As she explains her process to me, I am more than dumbfounded sometimes because such passion is truly rare. At the same time, it makes me honored to be under her care. The photo above may not really show the full extent of Amy's healing touch since I was facing no real acne at this point of time *thank goodness*, but it's pretty obvious that my cheeks got that healthy flush back and the dryness of my cheeks was reduced by a huge amount. If you're looking for more drastic changes like how she treats acne, feel free to check out her magic on her Facebook Page. You'll also see nothing but heartfelt testimonials from her faithful clients over the years. That's gotta amount to something! I almost to never really get to connect with my facial therapists as much as I'd like to the way with Amy, but I believe it's her nature that allows me to be this open. Do let yourself be open to trying her services out too, and I know you'll end up going back again. 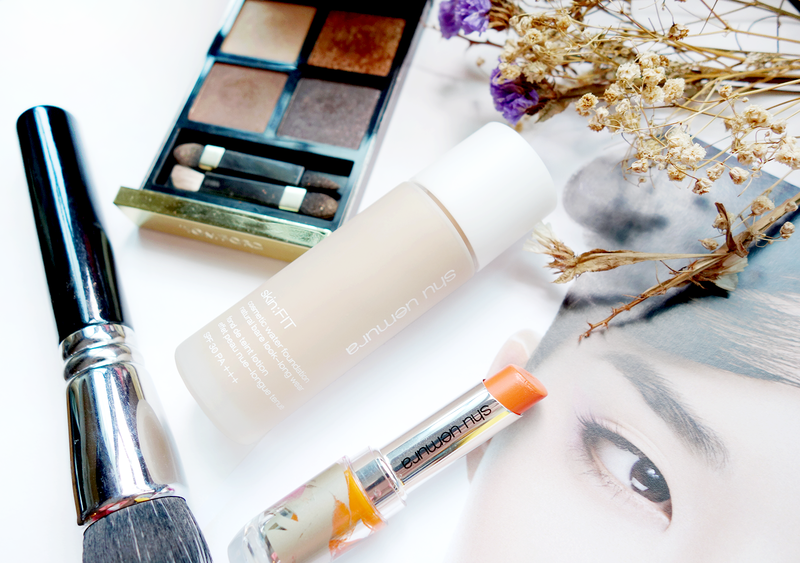 I've been using Shu Uemura's skin:Fit Foundation for some time; I received it at an event a month or so back, and I finally got time to pen my thoughts down.